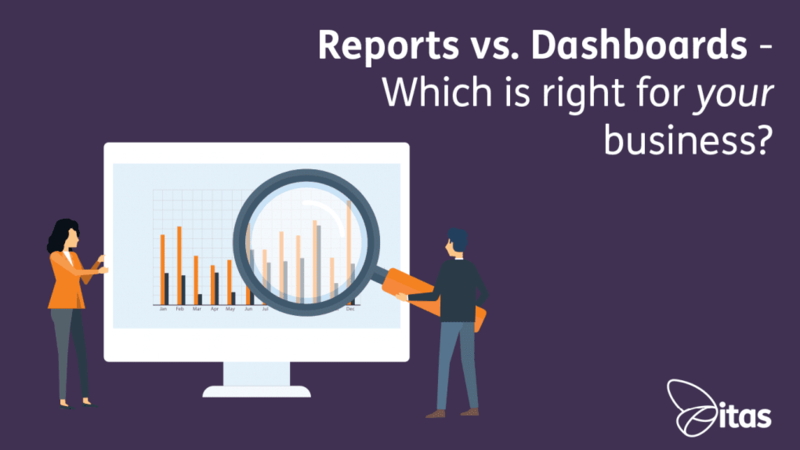 Reports vs. Dashboards - Which is right for your business? 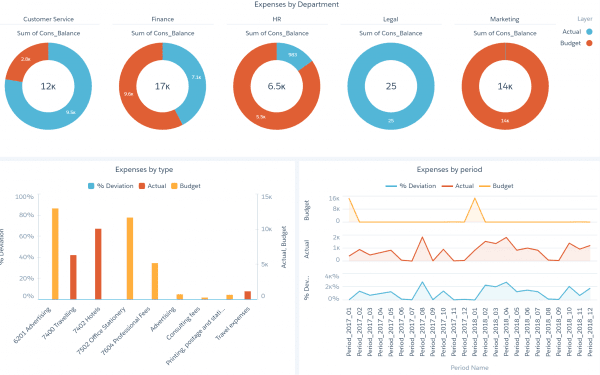 Reports vs. Dashboards – Which is right for your business? It isn’t enough to just have data in a business. You need to know how to use that data effectively to make decisions that will impact your business. Data is essentially information, it gives you an insight into the way your business is performing. But what is the best way to present your data? Reports can contain data in various formats. Traditionally using tables, text, numbers, graphs or bar charts to name a few. Reports tend to be packed full of facts and trends, spanning multiple sheets. Data in reports are raw, static and clean. Containing slices of data sets that cannot be manipulated. They can be time-consuming to prepare and do not reflect real-time data; because of this, reports tend to feature historic data and gives you a much broader picture of how an area of your business is performing. A lot of businesses like reports because they tend to be more to the point than a dashboard, giving you a detailed dataset. Dashboards are a much more visual representation of your data. They are easy to digest, can be split by departments and can be tailored and manipulated to show exactly what metrics you want to see. 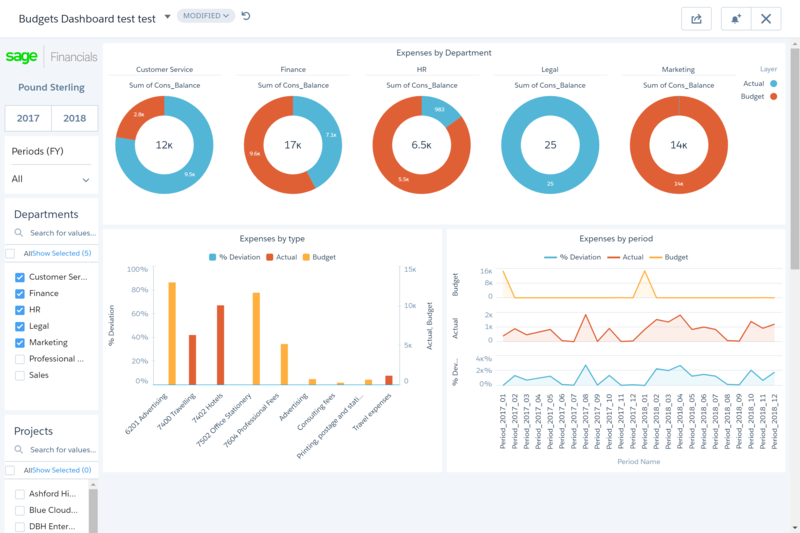 The great thing about dashboards is that rather than an overall report of your business, you can tailor the information to see only what is relevant to you. This allows businesses to create specific dashboards for departments. An example of this would be the Marketing Department. You can create a dashboard tailored to them showing website traffic, e-marketing data and an average lead score. Another example would be for your Customer Support team. The team may benefit from seeing how many support cases they have open, how many are outstanding and how many have been solved within a time period. These dashboards would be in real-time, automatically refreshing. Once dashboards have been set up, they can be left to do the hard work for you. Whether you use reports or dashboards is down to your businesses requirements. Here at itas, we are pro-dashboard. Each department has their own dashboards, which are displayed on screens around the office for the respective teams to see. 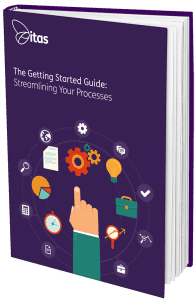 Reports require you to take the time to sift through the data – which is great for management deep-dive and investigation. Whereas dashboards allow you to casually monitor them at a glance which works extremely well for our business. Dashboards are more of an investment than reports. If you have the time and money to put into reporting then dashboards are a worthy investment. We offer reporting solutions for your Sage 200 and Sage 50 systems. A lot of people find they can’t get the information they want out of their finance systems quickly, easily, or in a visually pleasing way. Power BI is a data analytics tool that is cloud-based. You can create stunning dashboards and quality reports, extracting data using an extensive list of sources. This reporting tool allows for up-to-date and real-time views of your business, all in one place. The connection between Power BI and Sage 200 is linked using the SQL database. It can pull through information to create dashboards such as Sales, Warehouse and Customer Dashboards. You can also create custom reports and dashboards which can be shared across your business. Power BI also gives you the ability to access your reporting anywhere and at any time, including through mobile devices. 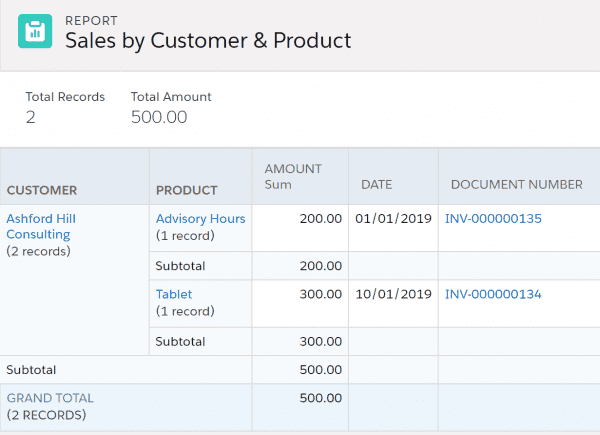 We have created our very own connector to allow you to pull out information from your Sage 50 system and produce stunning dashboards and thorough reports. It gives you real-time, up-to-date and accurate visibility across your business. i50 uses an API connection directly into your Sage 50 database. Our i50 packages give you access to a variety of dashboards including, Sales Ledger, Purchase Ledger, Stock, Warehouse and Aged Creditors dashboards. These are all available to view on the go using a mobile app. Information and data can be a business’s most powerful asset if it is interrupted correctly. The most important thing is to make sure that your teams can access the data they need. Whether that is through reports or dashboards, assess your business needs and find out what fits best for which department. If you would like more information on anything discussed in this blog, reach out to one of the team! Home » Sage Blog » All Sage Blog Posts » Reports vs. Dashboards – Which is right for your business?